Find higher quality versions of these songs at my YouTube Channel. Right click (or control-click, if you are a Mac user like me) on the title to save the file in your hard drive. [Demo] songs are just the first 1-2 minute of the whole song. Some songs in their entirety may be available at MusicTrack (Japanese). My own composition. This was an experimental work of 24 bit recording using M-Audio Firewire Solo audio interface. Sayuri Ishikawa's "Amagigoe," a Japanese Enka song. It took over 3 days to complete this Karaoke track. 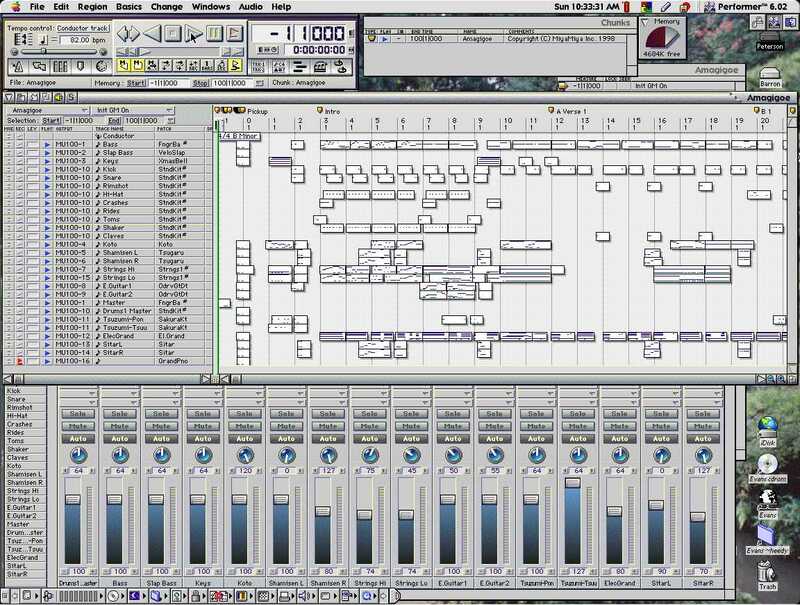 Bass, strings and guitar tracks were the most time consuming. I'll be happy if you can put on headphones and listen to what I had to do on a keyboard to simulate these instuments (slides, slapping bass, dynamics of strings etc.). 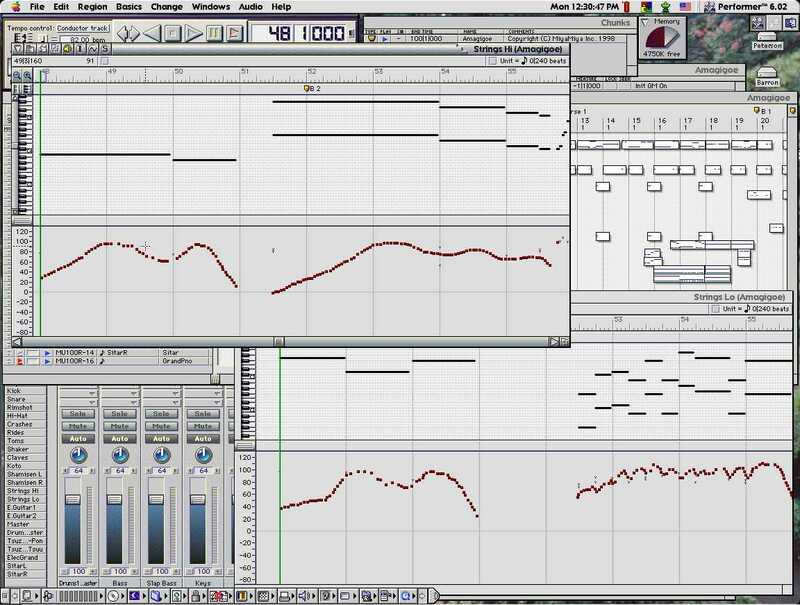 Screen shots of the sequencing software (MOTU Performer6), #1 and #2. This is a tune of the band I used to play with when I was in Ohio, 77 South And The Interstate Horns. The song was written by Joe Morris, and I worked on the arrangement of the horn parts. This track is from the compilation CD that a Cleveland radio station (WMMS) put together. The jingle you hear if you watch NBC news. Another jingle. This one is from the popular Food Network show, Iron Chef. This music is played right before Takeshi Kaga, the Chairman of the Gourmet Academy, announces the winner of the battle.